This kind of speed is an awesome feeling, but it comes at a cost. 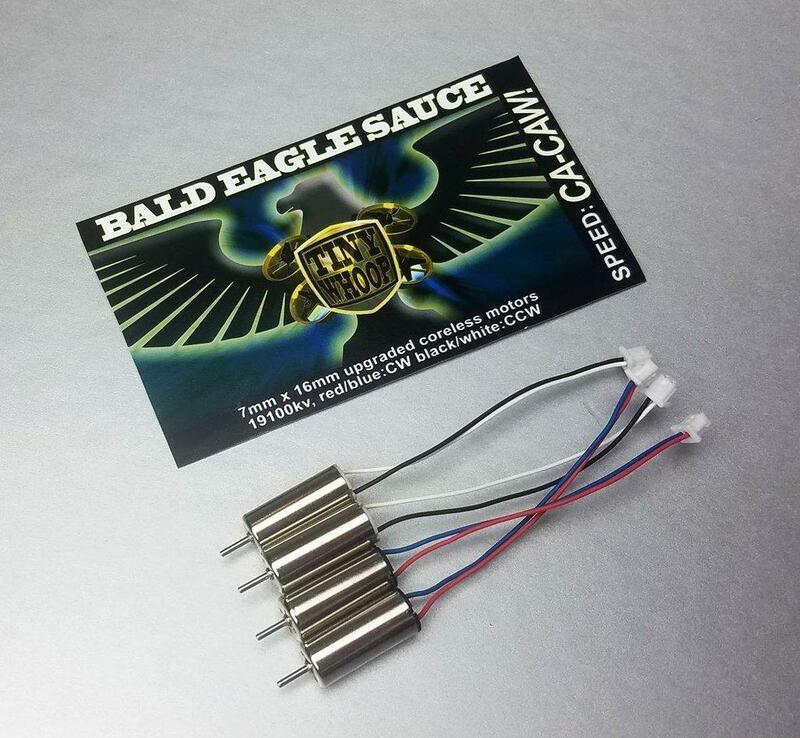 They're less effecient than our other 7x16mm motors like the Boss Sauce or the NOS Sauce, resulting in a little less flight time, but they have considerably more thrust. 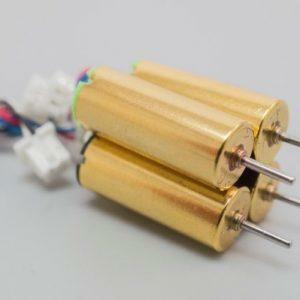 Additionally, they have a 1mm motor shaft, which means you'll have to use the optional included drill bit to widen the hole on the props you're using or go with a prop made for a 1mm motor shaft. 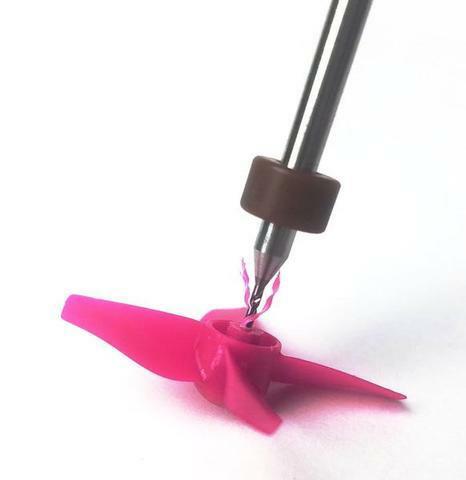 The props you drill out will be very tight on the motor, so make sure you're putting them on the right motors when you do this build, and if possible use a prop removal tool or tweezers to gently lever the props off when it's time. 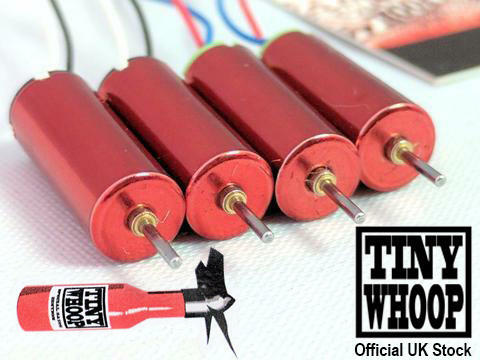 As of now (07/18) these are the only 19000kv or higher motors out there, though there are several other companies out there exaggerating their motor speeds to numbers like 19000 or higher. 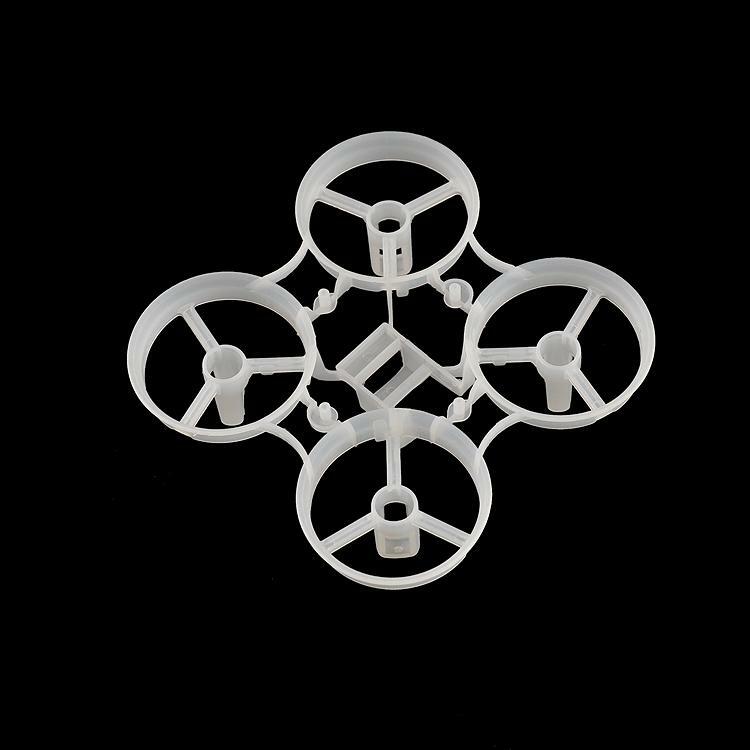 Isn't it a shame that so many businesses out there want to make a living taking advantage of newcomers FPV by lying outright? 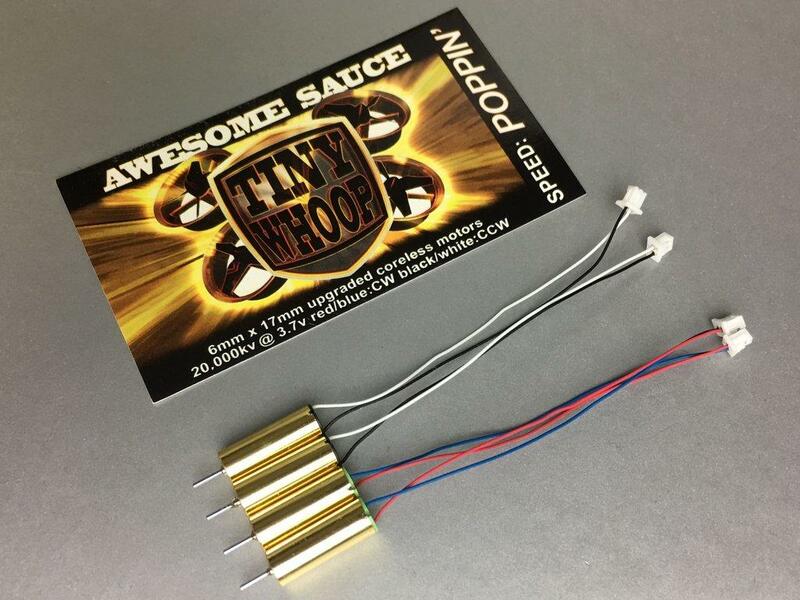 Because this is TinyWhoops first 7mm motor range we're dropping the price by two pounds for a while to get some reviews and help people get into 7mm style Tiny Whoop flight! The price will go back to retail price soon. 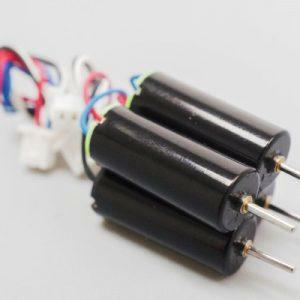 Here's my easy process to make any of the Tiny Whoop Props work with these motors using the optional drill bit: I just gently twist the bit into the hole under the prop. 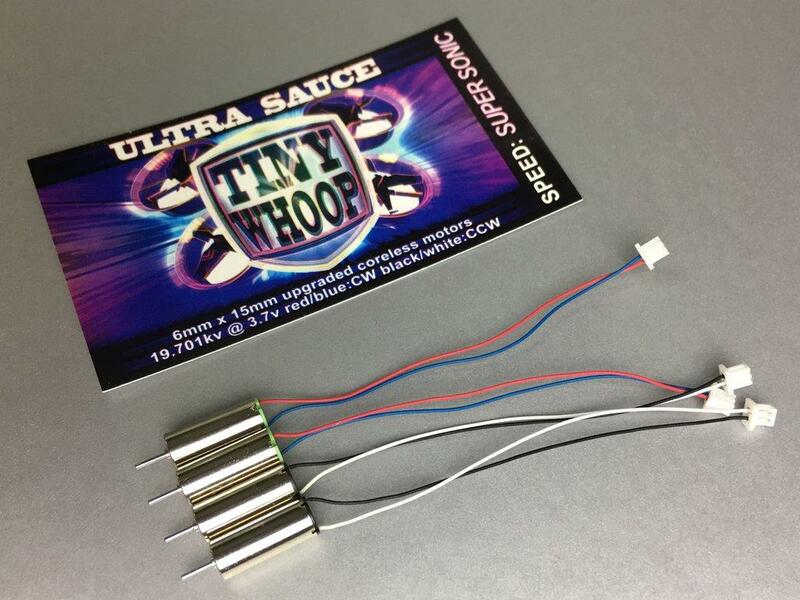 no big deal if you drill too far and out the other side, I personally like my props to sit as low as possible.